Published on May 5, 2010 in Complaints, Elections, General T&T and Protest. 3 Comments Tags: Abuse, Politics, Road Paving, T&T Govt. 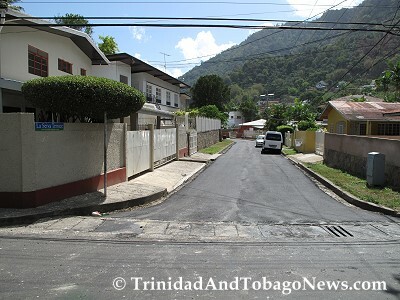 On Saturday 1st May, 2010, contractors working for the Ministry of Works paved the roadway of La Seiva Terrace, Maraval. Initially, we were somewhat surprised that they choose to pave that road as we did not believe that the road required paving at this time. Prior to paving the road, the contractors removed the top layer or asphalt, and left the road bare for about a week. With traffic on the road, this left our community very dusty – exacerbating an already bad dust and ash problem caused by the dry season with bush fires in the hills.